When each new year comes around, the majority of us want to make some changes. For us, we love seeing what each year brings us when it comes to all things hair! Since we are already into February (OMG! Already?!) there isn’t a better opportunity to switch things up like now! We’ve covered some of the trends we think will be popular for 2019. Making changes to your hair doesn’t need to be as dramatic as cutting it all off and dyeing it a new colour! Even a simple accessory can make a huge difference. Let’s see which hair trend is for you this year! This timeless hairstyle can easily elevate your look. Sleek or relaxed, make it fit your style! Brush your hair upwards and tie it up nice and tight. Of course, we cannot help but think of Ariana Grande’s high ponytail but also give an honorable mention to Kim Kardashian. Both girls really make this hairstyle work! This is your signature California cool style! It’s beach hair that is still polished enough to many occasions. This is best suited for shoulder length hair styles and longer. 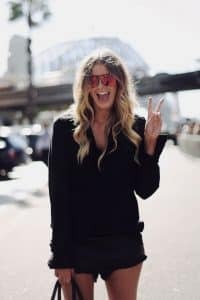 Think of model Chrissy Teigen or Australian blogger Elle Ferguson, who both master the look! 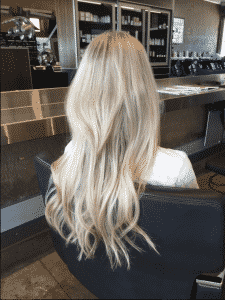 All you’ll need is a curling wand or hair iron and wrap the hair around for a few seconds. 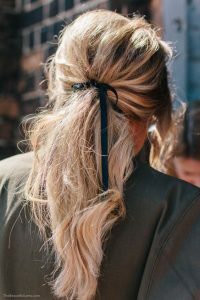 We all saw the revival of the scrunchie last year, but this year expect to see the practical bobby pin taking centre stage. Use it to keep your hair out of your face and there you have it. Even those with short hairstyles can take advantage of this trend! Another rising star is the simple bow. No matter if you prefer satin or velvet, tie it on your ponytail or make it into a headband. Either way, more is more with this trend! Grab all the hair accessories you can and have fun! We can all relate to the commitment it takes to maintain bangs, but these are the perfect low maintenance solution! Soft and long, just like a theatre curtain goes well with any length and any style. These are a real throwback to the 60s, think of Brigitte Bardot! A more modern day example of this style would be Hailey Bieber (aka Hailey Baldwin). All you need to do for styling is to blow-dry with a brush away from the face to avoid any strays. 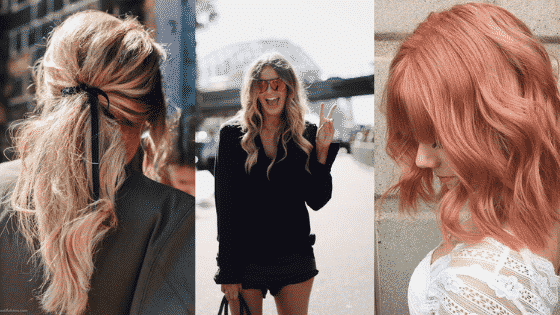 We can’t talk about hair trends and forget about the colours! We’ve got the full spectrum of hair colours, from blonde to brunette. It’s our favourite pink of them all! 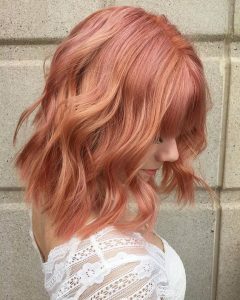 Rose gold is another take on the pink hair trend. It’s very wearable, yet fun! 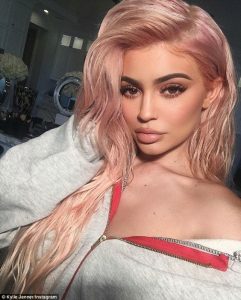 We are in love with Kylie Jenner’s rose gold hair! 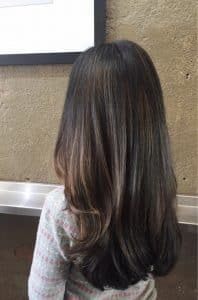 Having blonde hair before trying this shade is ideal, so if you have dark hair you’ll need to lighten it. Who ordered the cold brew? It’s the brunettes who need to cool down! Like the name suggests, the colour is just like the popular drink. Cool toned and so delicious! We can’t help but mention Pantone’s colour of the year! It’s bolder than pastel pink, but it’s still soft and easily wearable. Depending on your skin tone you may want to add more pink to cool it down or more orange to add warmth. Is anyone keen to try a few of these hair trends out? Contact our salon to make a booking or book online! We always look forward seeing you there!